Nintendo has ditched plans to appoint Cake as its retained consumer agency just weeks before its biggest console launch in six years. 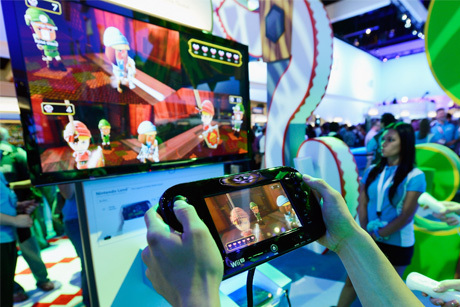 As Nintendo finalises plans for the launch of the Wii U on 30 November, the gaming giant made a U-turn over appointing Mike Mathieson’s agency for retained consumer work, following a closely fought pitch process. The Japanese games firm, which cut its annual profit forecast by 70 per cent last month, is understood to have told Cake that it had won a retained consumer brief, but the firm has subsequently decided not to bring in a retained agency in the UK. The launch will now be handled by Nintendo’s in-house team, led by head of UK comms Jo Bartlett. Cake is expected to support the team on project work. Bartlett said: ‘Following the pitch process, we re-evaluated our need for external PR support. As a result, we decided that bringing the day-to-day PR activity internally and using agencies for specific projects best met our needs. Bartlett suggested that the brand may decide to bring in a ‘formal roster of agencies’ in the new year. There is no suggestion that Nintendo and Cake have fallen out. Bartlett added that the decision was not financially led, but ‘based on a reassessment of our PR requirements at this time’. The decision leaves Nintendo without any retained UK agency support, as the brand’s relationship with Good Relations for corporate and consumer ended this summer. UK corporate and public affairs work is handled in-house. Nintendo Europe will continue to use Fishburn Hedges for corporate support. Nintendo initially put the account out to pitch in July, when Good Relations declined to repitch. It was recently revealed that the Wii U device will initially be sold at a loss, in a bid to gain the edge over the established rival consoles.